Chukka On: Rich textures and a dip of color refreshes the men’s staple for fall. The American Dream: ￼￼￼￼￼￼￼￼￼￼￼￼￼￼￼Refined and reserved, fall styles reflect a bygone era. 2011 Plus Awards Winners: Innovative design and a commitment to superior service are synonymous qualities of this year’s Plus Award winners for excellence in design and retail. Primary Colors: Our country’s primary colors are red, white and blue. Our two major political parties’ primary colors are red (Republicans) and blue (Democrats) and, for too long, there’s been zero mixing of the two. The primary colors of our industry, year in and year out, are black and brown. 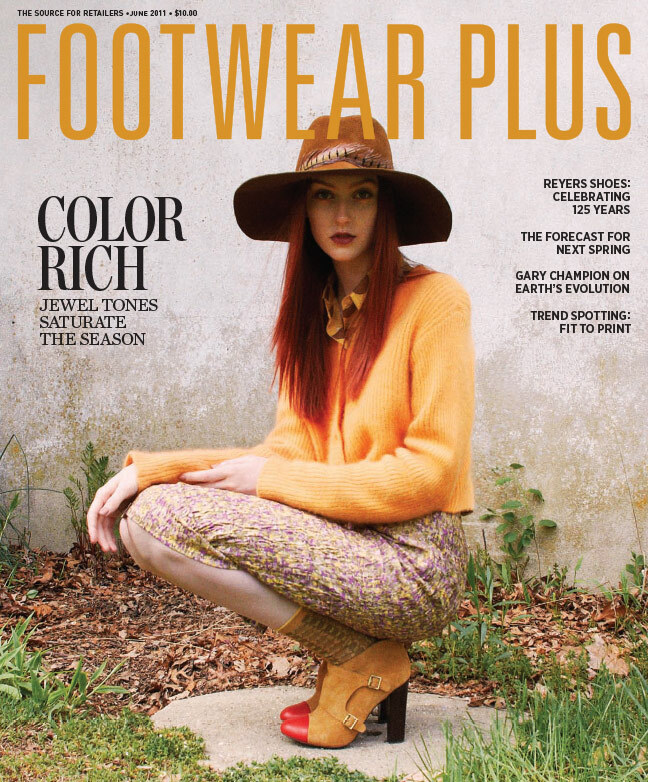 However, some primary colors for Fall ’12 look to be jewel tones, such as burgundy, saffron and emerald. The primary color of presidential hopeful Mitt Romney is—well, if milquetoast is a color, then I’d vote for that. The primary color of Newt Gingrich is muddy. Thinking Outside the Box: Four successful retailers—a bike shop, a cupcake boutique, a coffee house and an art store—offer universal insights on how they are thriving in the borderless, digital retail age by thinking locally. By Lyndsay McGregor hat can a footwear retailer learn from a tasty cupcake boutique in Colorado or a snazzy bike shop in Connecticut? How about from a trendy coffee shop in Texas or a boutique art store in Indiana? The short answer: A whole lot. Neigh York: Equestrian-themed boots are in full gallop on the streets of Manhattan this winter. Lace Makers: Fall dress styles are laced with peeks of satin and head-turning heels. Stuff Happens: IF THE POPULARITY of certain TV shows is a strong indication of what Americans are really interested in, then recent cable ratings say a whole lot about what the country is really into right now. It boils down to one word: stuff. Be it old stuff, forgotten stuff, antique stuff, junky stuff, possibly valuable stuff, icky stuff, some really big stuff and, ultimately, what to do with all that stuff. Our country is awash in a sea of stuff. Why else would reality shows like American Pickers, Pawn Stars and Storage Wars consistently rank in the top 10, week after week? Classic Boots: From tough biker and rugged western styles to comfy knits and rich shades of plum, the Fall’ ’12 boots preview offers an array of classic options. Going Native: Southwestern flair spices up fall boots. We Salute You: Military-inspired coats and jackets have been called into active duty to combat winter’s chill. Wood Stock: After seasons of burnin’ rubber, designers go against the grain with wood-sole boots. Standing Tall: The work boot. The cowboy boot. The go-go boot. The sheepskin boot. The logger boot. The biker boot. The riding boot, the desert boot and the all-theway-to-the-moon boot. The rock star of footwear silhouettes is undoubtedly the boot, especially when you throw in the Beatle boot and the classic 1460 by Dr. Martens—the standard uniform of punk and heavy metal bands for decades. Leisure Class: The preppy staple earns street-cred with wild color, prints and sparkle. Hot Lunch: Spring's designer dress styles meet the cafeteria. Pre-occupied: Protesting might be the new black, but that doesn't mean it's wearing well. It’s a Nice Day for a Bright Wedding: Something blue, coral, purple, pink and red—modern brides say "I do" to color. No Kidding Around: Times are tough, yet Bill LaRossa, president of Primigi USA, believes sticking to the guiding principles that have built the luxury kids' brand into a category leader will enable the company to weather the storm. Stock Options: Get 'em while they're hot: These styles are in stock and ready to land on store shelves within the next 60 days. Keeping up with the Big Dogs: With the Internet poised to become the holiday's most popular shopping destination, independent retailers are finding creative ways to compete with Zappos and Shoebuy. 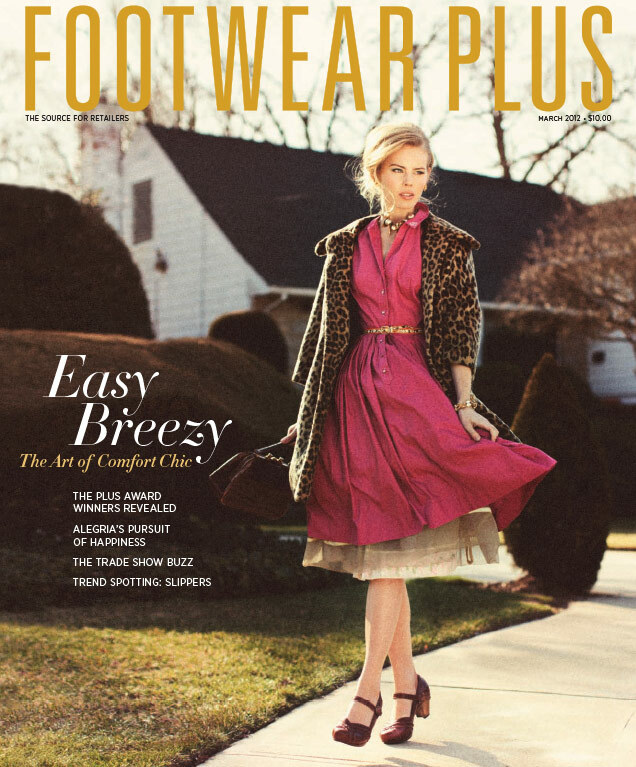 Fighting the Good Fight: The footwear industry unites to support Breast Cancer Awareness month. Who Says You Can’t Go Home? : A New Orleans native ditches the Big Apple for the Big Easy and helps rebuild her family's shoe stores after Hurricane Katrina. Bases Loaded: Larry Schwartz, CEO of Aetrex Worldwide, discusses how the company's vertically integrated approach—spanning shoes to orthotics to foot scanning devices—is knocking it out of the park. Roll Your Own: Men's comfort aces a street-smart attitude. Charting New Territory: He who hesitates is lost. Many a footwear company has fallen victim to the aforementioned phrase, which can also fall under the guise of resting on one's laurels or getting soft. And then there are those companies that reach a certain girth and become too big to move. The nimble nature that brought them to the forefront is replaced by a big-business mentality that is counterproductive—and demoralizing—to the entrepreneurs that got the company off the ground. Royal Highness: Rich, spicy colors reign supreme for spring. Quiet Giant: The classic monk strap resurfaces for spring. Show Times: The latest traffic and trend reports out of ENKWSA, FFANY, OR, TASM and FN Platform. A Well-Respected Man: Post Metrosexual and Retrosexual revolutions, today's male seeks a refined balance as a legion of classic brands and up-and-comers answer the call. Running Man: An artisan at heart and a salesman by trade, Trevor Delmore, vice president of sales for Coogi Footwear, discusses his passion for selling cutting-edge street fashion and why the pursuit never gets old. Ladies and Gentlemen: Breaking tradition, Spring '12 lace-ups sport rich color with burnished and distressed treatments. Pedal Pushers: It's economical, eco-friendly and just plain fun: New Yorkers are hopping on their bikes to get around town in style. No Spandex, please. Dream Weavers: Woven details and soft colors enter southwest territory for men and women this spring. Far Out: Big, bold and full of sole, the flatform dominates the season. The Devil Inside: Smart preventative measures can keep employee theft from hurting your store's bottom line. The Real Jersey Shore: Forget Snooki, self-tanner and over-gelled wannabe Romeos. Despite what MTV may say, for these footwear retailers, the real Jersey Shore is full of locals who flock to the coast for sun, sports and style. American Accent: Rob Rask, managing director of Ara Shoes North America, reveals why the German-based Euro comfort company—already a major player around the world—is positioned to take the country by storm. Block Party: Designers color inside the lines. Arm Candy: Big and many: Stacked bangles make a bold statement and contrast well with barely-there summer shoe styles. A Vote For Change: Ever since life after the Great Financial Collapse was dubbed the "new normal" by pundits and adopted by millions of confused and rattled-to-the-core consumers, the sad reality is that there's little normalcy in this new landscape. It's so disturbing, perplexing and rapidly changing that if your head is not spinning by now, it might be because you've stuck it into the sand. Kiss the Sky: Rich leathers, earthy textures and a blend of sun-washed and vibrant colors sets spring '12 aglow. Opposites Attract: The chic color scheme makes a strong statement for spring. Shopping Goes Social: Facebook is poised to become a booming online marketplace. Follow these top tips from social-marketing pros to set up shop and start cashing in. Baring It All: The minimalist running category is red hot with emerging brands, fresh designs and new claims related to the concept's approach to the age-old exercise of running. The latest market analysis and Spring '12 products are sure to keep the buzz going. Revolutionary Times: Angel Martinez, chairman and CEO of Deckers Outdoor, on the company's evolving portfolio and its place in the revolutionary worlds of social media, sourcing and emerging brands. Hamptons Chic: Casual sandals top the packing list of city dwellers summering in the Hamptons. Turning the Tables: I'm the one who asks the questions. 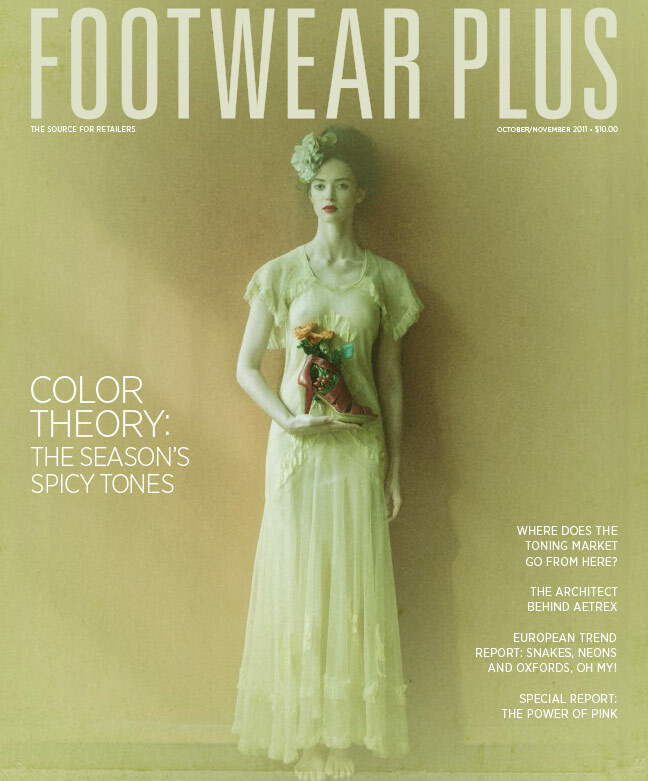 For more than 20 years as a working journalist, I've been the interviewer and, with respect to my tenure at Footwear Plus, it's been in search for answers to help readers better understand the latest goings-on in our industry as well as to get to know the people behind the brands and storefronts. The selling of shoes is a people business, and learning about the individuals can only be of help. Beyond that, it's fascinating to learn where people come from—literally and figuratively. 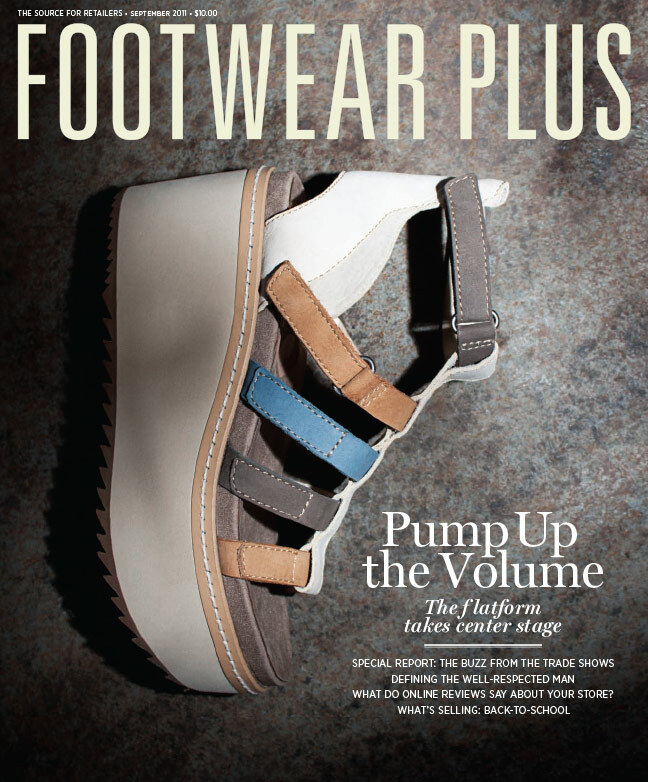 Sweet: Feminine silhouettes and tranquil hues lend a breath of fresh air to spring '12 sneakers. Mr. Sandman: Designers dust off classic kicks with leather and preppy details. Pinkalicious: Bubblegum shades add a pop of color for Spring '12. You Heard It Here First: Next spring's leading trends revealed. Steely Determination: The story of how Reyers, "the world's largest shoe store," withstood the test of time—for 125 years and counting. Triple Play: With a three-brand approach spanning the wellness, comfort and fashion markets, Gary Champion, president of Earth, has the company's bases covered and positioned for rapid growth. Male Pattern Boldness: Loud prints take root on men's styles this fall. Kidding Around: Big Apple kids bring spring to life with animal prints, colorful stripes and funky shoes. Catch the Color Wave: A hint of shimmer and scaling heights enliven the latest color-soaked dress styles. Photography by Alexandra Carr. Saddle Up: Color and texture distinguish the plain-toe shoe. Make It Rain: Rain gear retailers and manufacturers offer key tips for sunny sales in stormy weather. Midwestern Moxie: When times got tough, Jane and Matt Stricker got going, building their Nebraska comfort boutique Footloose & Fancy into a growing chain. Utilitarian Man: Bill Combs, CEO of Bogs Footwear, talks about the recent acquisition by Weyco Group, makers of Florsheim, and why even if the rain boot craze were to dry up tomorrow, the brand's future remains lush. Zip It: The closure takes front and center stage this fall. Love Rain: With new silhouettes, trendy details and signature color pops, Fall '11 rain boots shape-shift their way into fashion. Photography by Jason Hindley. The Other Sheen: Sleek heels and patent leather prove to be a winning combination for fall. 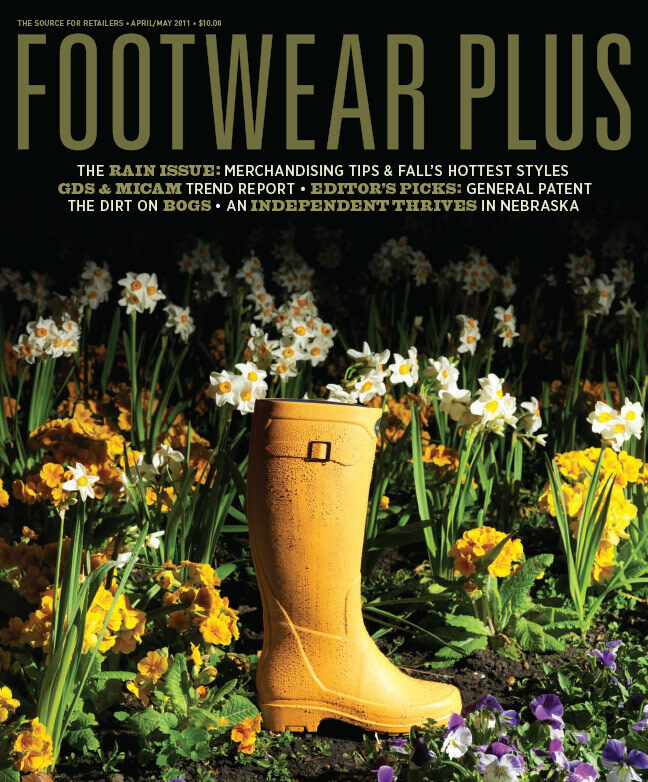 Looks Like Rain: In case you have been living under a rock the past year, the country is awash in rain boots. When it rains (or snows), it pours wellies—many in cheery colors and whimsical patterns. Rubber boots are the latest utilitarian fashion statement in a long line of user-friendly footwear staples, including Merrell's Jungle Mocs, Ugg sheepskin boots, Crocs and ubiquitous flip-flops, to cite a few. Rockin’ Rubber: When the forecast calls for rain, New York streets become awash in the latest utilitarian fashion wave: wellies.